The term Art refers to a broad array of study fields, not just fine arts. This means that with a degree in Art you have a countless job opportunities to seek after the completion of your course. In a global context, the UK has some of the best art universities attracting each year many international students. But some of the British art universities are definitely a league of their own regarding their quality of education. The Royal College of Art is embodied by the School of Architecture, School of Arts & Humanities, School of Communication, school of design. In each of them, a number of art courses are offered the likes of Painting, Photography, Sculpture, Fashion wearings and so on. The University strives to give its students a proper theoretical and technical education to work independently in different job environments and different challenges. From this point of view is a clear-cut fact that the Royal College is one of the most eminent universities on art-related subjects. The UCL Slade School of Art welcomes talented artist who wants to improve their skills and knowledge in the field of painting, sculpture and fine art media (including film, photography, etc). Besides a convenient study environment, you’ll have your personal tutor who will be assessing and guiding your education during the whole course. These tutors have a diverse background in art subjects. Thanks to its central location in the London you’ll have an easy access to different art settings around like art museums, galleries, theatres and so on. In order to give you the best and the most up-to-date approaches in the art the module of studying may change often. For overseas students planning to enter the university, an extensive course offered called “Year 0” course. At the postgraduate level, the department offers you MFA Degrees in Fine Art, Curating and Art Writing. The Glasgow School of Art is valued as one of the best Art schools in the whole globe. Offering various courses in different art disciplines, and a quality of teaching and research that guarantees to succeed is what basically makes this school an outstanding institution. Its full set of these courses includes Sculptural and Environmental Art, Fashion Design, Fine Art Photography, Textile Design, Painting & Printmaking and so forth. The University highly values the role of research activities on your professional improvement and it has set a number of research degree and centers where you can turn your artistic visions into reality. If you’re planning to study in an Art subject in the UK then definitely Loughborough must be in your mind. Its School of Arts, English and Drama is one of the best in the whole country. Currently, it offers undergraduate and postgraduate (taught and research) courses. Aside from having enough options in terms of study programs, the university is committed to offering its student a modern study environment. For this purpose, the university has lately invested an amount of £3 million to its six creative hubs, available for every student. No matter what list of UK universities is, the University of Oxford has no chance of missing it. The second oldest university in the UK, the Oxford University is also proud of having one of the most prominent Art schools among all British universities. The Ruskin School of Art at the University of Oxford tends to be an uncommon faculty of the art regarding its unique curriculum and teaching style. At its BFA course, you’ll be working collaboratively with your peers in art studios. Your first academic year at this school is intended to surface your abilities and skills so the tutor will be able to direct your studies in the preceding years. Placed at the center of the city of Brighton, the School of Art at the University of Brighton is distinguished by its wide spectrum of art study programs at undergraduate and postgraduate level. Additionally, there are a number of research degree programs for those who want to take their knowledge of art in entirely new level. The Lancaster Institute for the Contemporary Arts at the University of Lancaster offers courses limited at these study fields: Art, Theater, Design, Film. 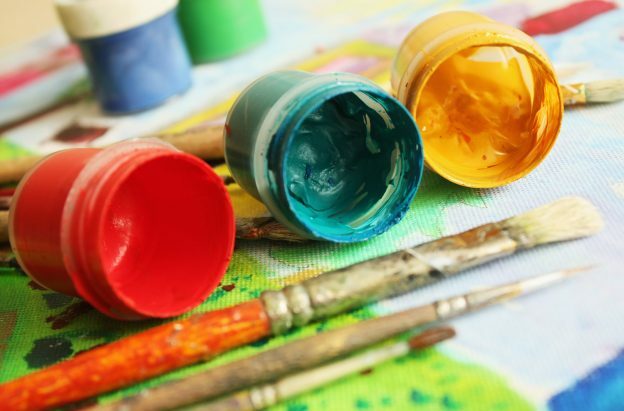 An art study program at this school covers all art disciplines of painting, drawing, digital art and sculpture which can be studied separately or in an interdisciplinary program. The module of studying is a mixture of studio & professional practice and theory. Its professors and academics are active artists whose work is nationally and internationally recognized so you’ll definitely learn from the best.